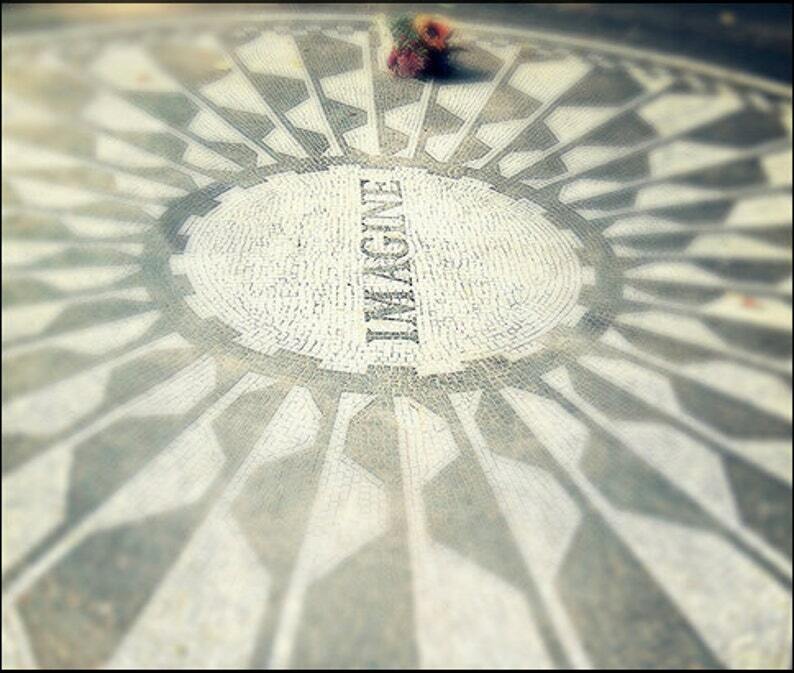 After John Lennon's died a memorial called Strawberry Fields was built in Central Park. It's located directly across the street from John & Yoko's apartment. This is a photo of the "Imagine" Mosaic near Strawberry Fields in Central Park.